Are you looking for an experienced dentist who serves the community of Falls Church? If so, we can help. 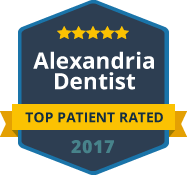 We are Green Dental of Alexandria: a family dental practice serving children and adults of all ages with all facets of dental care. Our practice offers a full range of preventive, restorative, cosmetic and general dental services as well as emergency dental care, sedation dentistry and implants dentistry. We want to be the dental practice you trust to meet your dental care needs and the needs of your entire family. The dentist and staff from our family dental practice are proud to serve the residents of Falls Church and the surrounding areas with state-of-the-art, environmentally conscious dental healthcare. Our dentist, Dr. Hye Y. Park works together with a team of dedicated support professionals to provide the highest quality dental care possible, in an atmosphere that is relaxing and comfortable for our patients. We are deeply committed to your long-term oral health and to your safety. As part of this commitment, we have invested in a number of eco-friendly systems including a dry vacuum system, digital x-rays, a dental laser, green dental imaging, an air and water purification system and a green infection control system. For your safety, we do not offer any dental restorations containing mercury and we use amalgam separators and chair-side filters to facilitate the safe removal of old amalgam fillings. For your convenience, our Falls Church VA dental office accepts many dental insurance plans as well as cash, checks and credit card payments. We also offer flexible financing and in-house payment plans. Our friendly and knowledgeable professionals are available to work with you to help you find a financing plan that meets your specific needs. To accommodate our busy parents and working professionals, we offer extended hours as well as Saturday appointments. For top quality, environmentally conscious dental care, please contact our Falls Church Dentists today. We look forward to caring for your smile.